One of the best things about having your wedding at the Teahouse Restaurant in Stanley Park is the amazing sunset and ocean views. I photographed my first wedding at the Teahouse Restaurant and Furgeson Point over 8 years ago in 2011. To this day it is still one of my favourite wedding venues for intimate weddings in Vancouver. 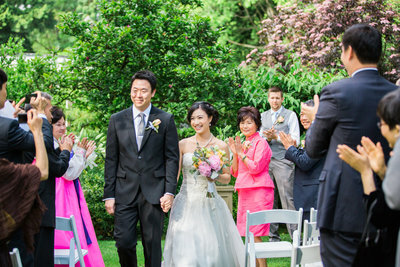 As a wedding photographer I love the intimate atmosphere this wedding venue give the bride and groom and their guests. 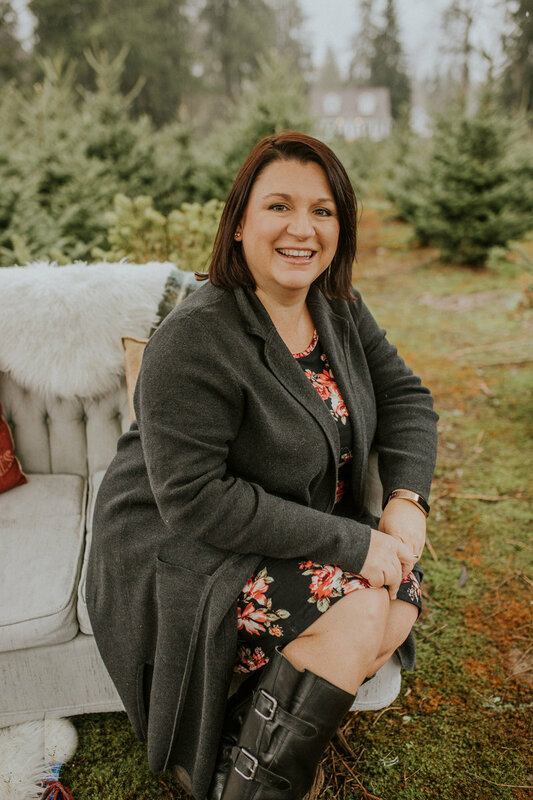 There are lots of amazing wedding portrait locations within walking distance to the Teahouse Restaurant, whether you're wanting a lush forest or expansive ocean view as a photographic backdrop. I enjoy the light at this venue in Stanley Park because it's shaded by the giant trees for most of the day. 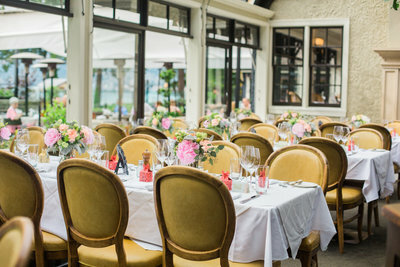 Tips for getting married at Stanley Park Teahouse. - Have your ceremony on the open space next to the Teahouse. The light here than at the Pointe, and your guests will be cooler because the area is shaded by some amazingly tall trees. There is also less on-lookers and random people stopping at your ceremony. 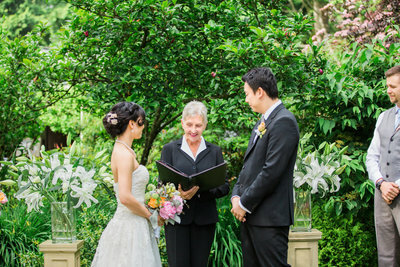 - Consider having a first look, so that you don't have to leave the area between the ceremony & reception. When you leave (via any transportation), you will have to circle around half of the park to get back, it wastes a lot of time. - Definitely leave time for Sunset Husband & Wife portraits! This location has an amazing sunset and you want to take advantage of this. This room is with windows all around giving you a beautiful view of the forest and sunset views towards the ocean. You can seat 70 guests with traditional long banquet tables; or 100 people for a standing reception. This room has a picturesque window facing the ocean views and sunset and can seat 50 guests with traditional long banquet tables. 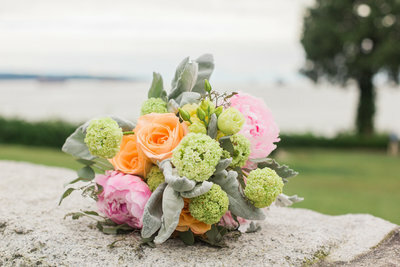 This venue is best for Summer and early Fall weddings, as there is no indoor location for the ceremony, and no place that is under cover close by for bridal portraits.